Flurry of Fun at Disney’s Hollywood Studios! A Flurry of Fun at Disney’s Hollywood Studios is coming your way from Nov. 8, 2018, to January 6, 2019! Join in for this holly, jolly event and delight in festive shows, enchanting “snows,” holiday décor, Toy Story Land cheer, and yummy sweets and treats! Watch as Sunset Boulevard becomes a winter wonderland and Hollywood Tower Hotel transforms with projections and laser effects depicting holiday stories of beloved Disney characters. And at the end of every night, they can experience Jingle Bell, Jingle BAM! : a Santa-sized spectacular jam-packed with holiday music, fireworks, special effects, and dazzling state-of-the-art projections. 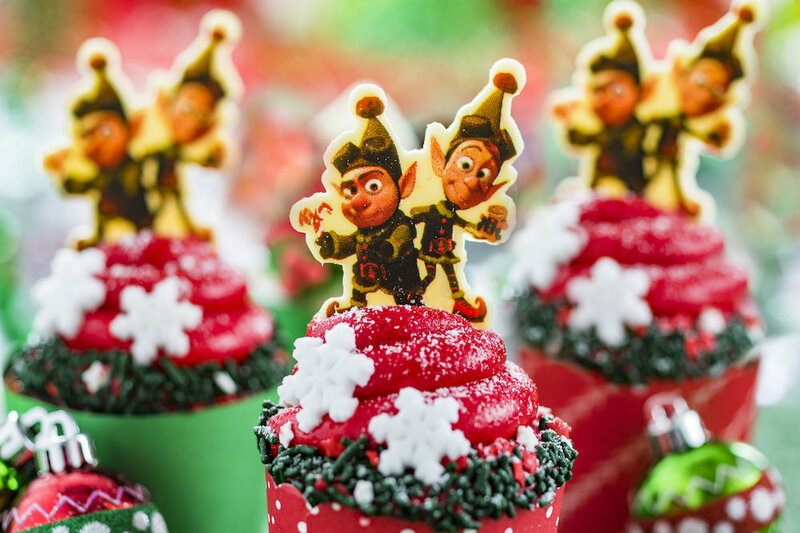 Throughout the park they'll find festive treats that’ll have their taste buds singing “Tis the season!” From gingerbread pops and holiday popcorn to hot chocolate flights and specialty cocktails, there’s so much to celebrate! 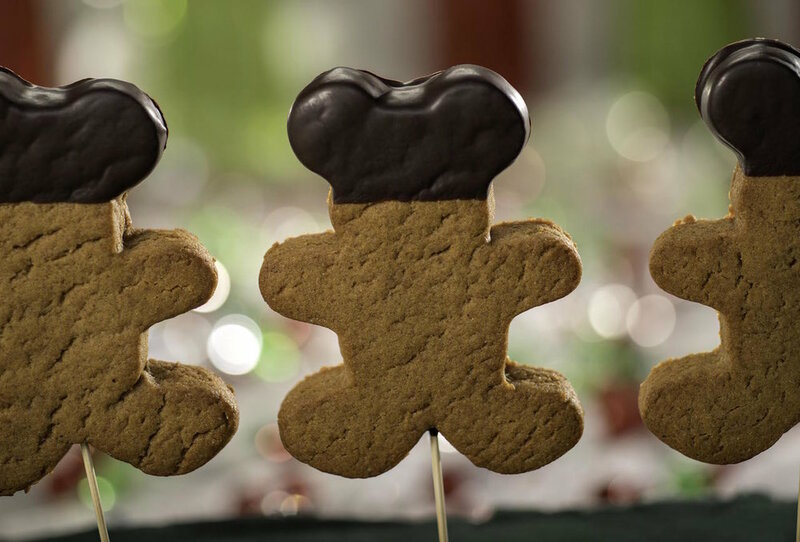 Gingerbread Pop – It’s SO CUTE and one of many favorite holiday snacks, the Gingerbread Pop comes on a stick for easy on-the-go deliciousness and is dipped in chocolate. Your can find it at Anaheim Produce, the Churro Cart in front of the Chinese Theater, and the Main Entrance Coffee Cart. Festive Popcorn – This treat features caramel corn mixed with nuts, crispy pearls, candy-coated chocolates, and mini sugar cookies. Find it at BaseLine Tap House and various popcorn carts throughout the park. 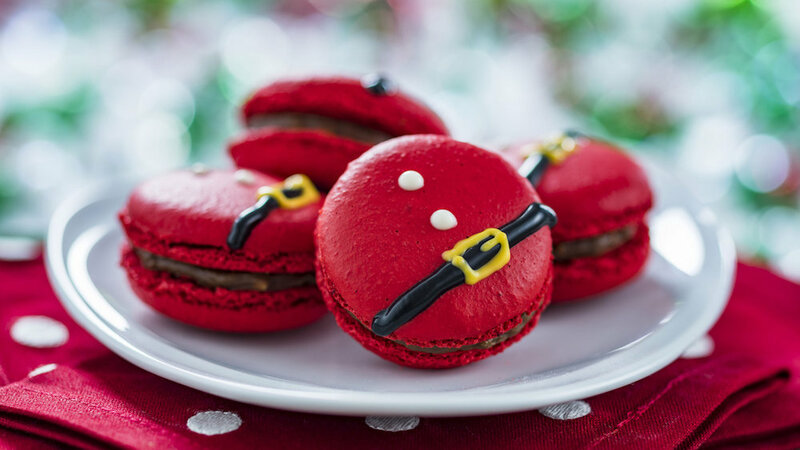 Santa Belt Macarons – Ho ho ho! Have a Santa Macaron! These almond macarons with hazelnut filling have climbed down the chimneys at BaseLine Tap House and Oasis Canteen and come in packages of five. Santa Belt Candy Apple – Dipped in chocolate and decorated with more chocolate and marshmallow ears, your Clients will definitely want to take a bite out of these candy apples available at Trolley Car Café! Large Shortbread Cookie – This big shortbread cookie is filled with raspberry jam and decorated in frosting. Get it at Trolley Car Café!Strawberry Mint Verrine – Head to Fairfax Fare to try these marinated strawberries dipped in peppermint crème. Spiced Cold Chocolate – This chocolate verrine is made with house-made cinnamon marshmallows and chocolate cake and can be found at Rosie’s All-American Café. Strawberry Mint Verrine – Head to Fairfax Fare to try these marinated strawberries dipped in peppermint crèmeChocolate Mousse Present – The tastiest present of all, this chocolate mousse dessert with chocolate ganache can be found at ABC Commissary. Cranberry Mousse – Feast on this festive dome of chocolate-cranberry mousse available at Trolley Car Café! Caramel Éclair – Find this tasty pastry filled with caramel at Dockside Diner. 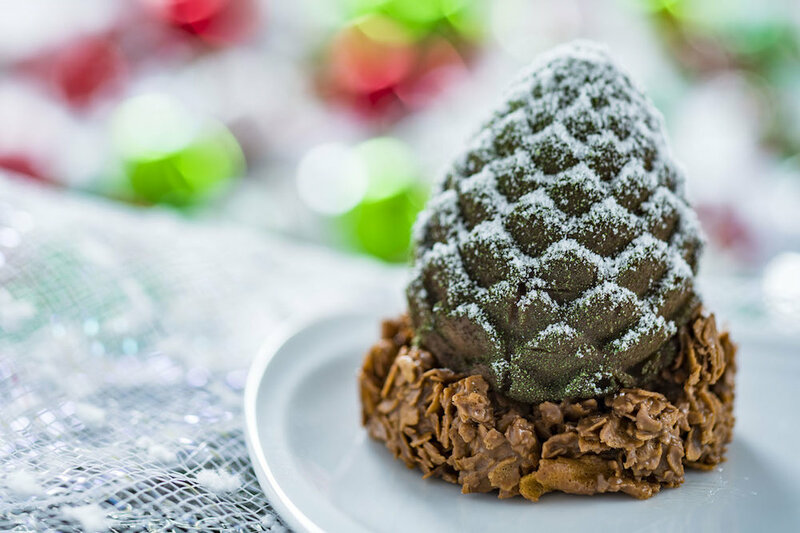 Chocolate Chestnut Cone – Chow down on this chocolate treat served on a praline leaf offered at Backlot Express. Eggnog Panna Cotta – This Eggnog Panna Cotta comes with raspberry and chocolate crème and can be found at Catalina Eddie’s. Cinnamon Apple Cranberry Lunch Box Tart – Your Clients will find a friend in this yummy holiday Cinnamon Apple Cranberry Lunch Box Tart at Woody’s Lunch Box. It’s also topped with snowflakes and crispy pearls! Prep and Landing Cupcake – Get ready for some elven shenanigans with this gingerbread cupcake with cream cheese frosting offered at Rosie’s All-American Café and Dockside Diner. Hot Chocolate Flight – Warm up with Hot Chocolate Flights featuring hot chocolate with Irish liqueur, hot chocolate with vanilla vodka, and hot chocolate with cherry bourbon. The flight can be found at Fairfax Fare. Frozen Hot Cocoa (non-alcoholic) – Cool down with some Frozen Hot Cocoa offered at ABC Commissary, Backlot Express, and Rosie’s All-American Café. Gumdrop – You will be dreaming of sugarplums and gumdrops with this special holiday cocktail made with raspberry liqueur, raspberry vodka, pineapple and cranberry juices, and Sprite available at The Hollywood Brown Derby Lounge and mobile bars near Echo Lake and Hollywood Scoops. Frosted Gingerbread Martini – If you love gingerbread cookies, they'll love this gingerbread cocktail with vodka, Irish liqueur, coffee liqueur, gingerbread syrup, and ice cream mix available at Backlot Express. Frostbite Cocktail – This cold cocktail made with vodka, blue liqueur, cranberry juice, and sour will be offered at Dockside Diner and Backlot Express. Winterberry Margarita – Everyone loves a good marg. This holiday version is made with silver tequila, orange liqueur, sour, cranberry juice, and wildberry syrup. 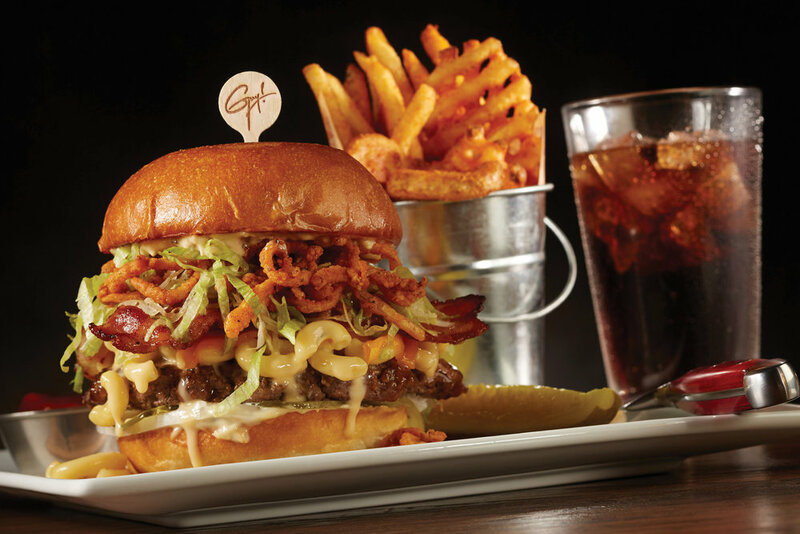 Find it at ABC Commissary and Rosie’s All-American Café. These are just some of the amazing yummy treats that are waiting for you at Disney’s Hollywood Studios! There’s still time to book a magical holiday trip!! Contact our expert travel pros for help on booking your next trip to Walt Disney World! Click HERE if you don’t have an Upon A Star Travel Expert! Every night this Summer the iconic Grauman’s Chinese Theatre will be transformed for a brand new nighttime show called Disney Movie Magic! The new show includes special lighting and state-of-the-art projection mapping technology that immerses you into the world of Disney Move Magic! Disney Movie Magic includes iconic moments from contemporary Disney blockbusters like "Pirates of The Caribbean," the "Indiana Jones Adventures," and classics like "Mary Poppins,"
Want to see this awesome new show in person? Contact our experts here to get more information about planning your magical vacation! I am a Star Wars fan and love the March of the First Order and the Star Wars: A Galaxy Far, Far Away live show. I was really looking forward to showing my Star Wars-loving kids the show this summer. So I had to know what was going on. Now, that wasn’t a good enough answer for me. So I started looking around. Turns out the stage is undergoing refurbishment to make it portable! Why 'portable'? Well, Hollywood Studios started a new evening projection show called Disney Movie Magic. This tribute to the movies shows on the Chinese Theater nightly. Removing the stage allows for more people to enjoy the show that will work in conjunction with Star Wars: A Galactic Spectacular, a nighttime fireworks event. It looks like the stage will re-open on June 16th so fans can still enjoy the show this summer. Do you want to see what the Upon A Star Travel team is up to this summer? Follow their travel adventures as they explore new attractions and destinations at #StarsSummer17. 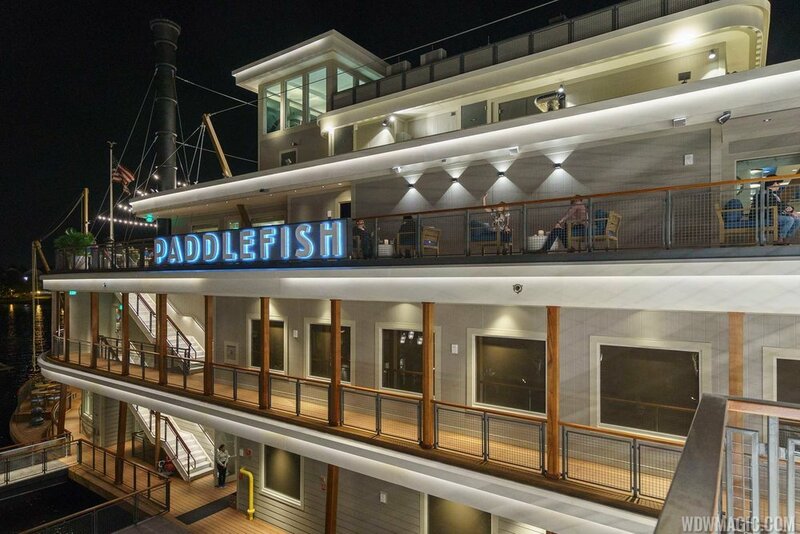 Do you want more info on booking your very own Magical Vacation? Contact one of our experts here! Star Wars Guided VIP Tour coming soon! December 29, 2016 Upon A Star Travel & Concierge . Attention Star Wars fans: Starting January 2nd, Disney's Hollywood Studios will be offering a seven-hour guided tour that offers VIP access to the parts of the park that feature a galaxy far, far away. 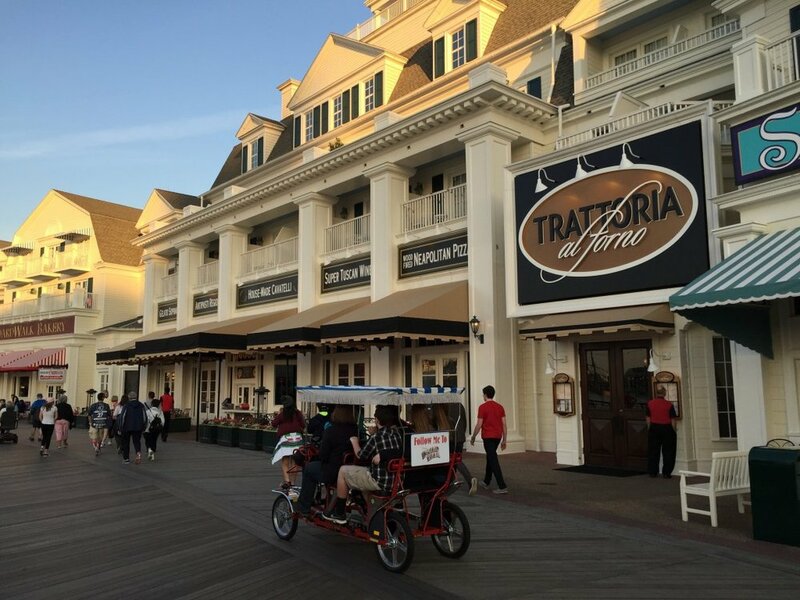 These specialty tours include Star Tours, Jedi Training, and Star Wars Launch Bay. Guests will also have the opportunity to have interactions with Kylo Ren and Chewbacca. There will a special themed meal, and the evening will be capped off with a dessert party during the park's "Star Wars: A Galactic Spectacular" fireworks/laser/projection show. My family just experienced all of these things last week and were completely in awe of how the Star Wars experiences have revitalized Disney's Hollywood Studios. The Galactic Spectacular left me speechless and trading with the Jawas was a highlight of our vacation! Starting January 2nd, tours will be given on Mondays and Saturdays at 1:00 p.m., and will cost $121.12 per person, in addition to the cost of admission to Hollywood Studios. It's a great deal!